Bluestone Developments NSW has unveiled plans for a residential development called Rohan’s Run in Austral. Named after John Reoch Rohan and his family who have been owners and residents of the land for 82 years, Rohan’s Run is located just 25 minutes from both Campbelltown and Liverpool and less than an hour’s drive from the Sydney CBD. The location of Rohan’s Run also enjoys quick access to the M5, Westlink M7 and Leppington train station. 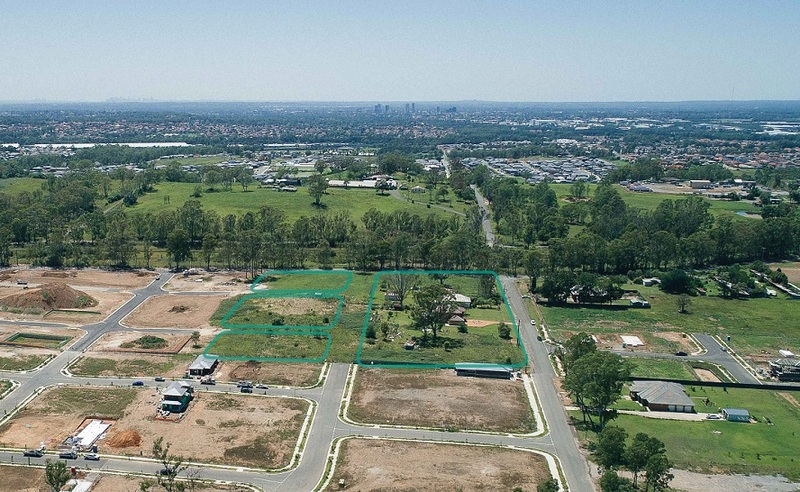 The estimated $27 million development will ultimately comprise of 62 homes spanning a 2.023hectare site, with the first stage comprised of 12 lots to be released on February 1. Rohan’s Runs has close proximity to amenities, transport and services, leveraging the significant, government-backed infrastructure planned for the region, making it an outstanding opportunity for those looking to secure their position in the market, especially first home buyers who have found it difficult to purchase property due to affordability issues in Sydney. Furthermore, Rohan’s Run is just a 12 minute drive to the new Western Sydney Airport, which is expected to begin operations in 2026, generating around 20,000 direct and indirect jobs by 2030. Richard Whitehead, founder and managing director of Bluestone Developments NSW said: “When designing this new development, we deliberately intended Rohan’s Run to be a place where families, first home buyers, upgraders and downsizers would be well looked after. “Our team have taken into account the vision of the area while paying homage to the history of the land and its previous owner,’’ Mr Whitehead said. “We have also benefited from the NSW Government’s initiative to declare growth areas, rezone precincts and heavily invest in infrastructure for urban development in South West Sydney, which has allowed us to plan and invest with the confidence to provide Sydneysiders with affordable new housing. “In Sydney’s South West, we’re now seeing an infrastructure development program which has been thoughtfully and strategically planned to coincide with the release of new residential land. “We are also tackling the housing affordability challenge head on by focussing on supply and keeping the dream of home ownership alive for home buyers in Sydney, whose confidence in owning their own home may have waned over the past few years. Rohan’s Run is located at Sixteenth Avenue, Austral and will be released to the public from Friday, February 1.